“Introducing BBTac M47 Shotgun loaded with accessories, this well built shotgun has a sturdy ABS body giving it a nice weight and sturdiness to withstand heavy usage. 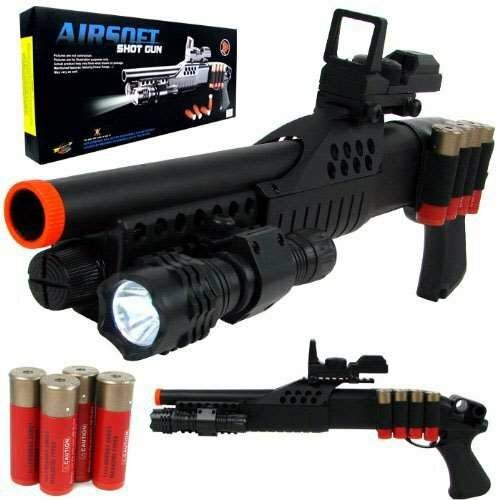 Easy Pump action allow you to pump and shoot really fast! 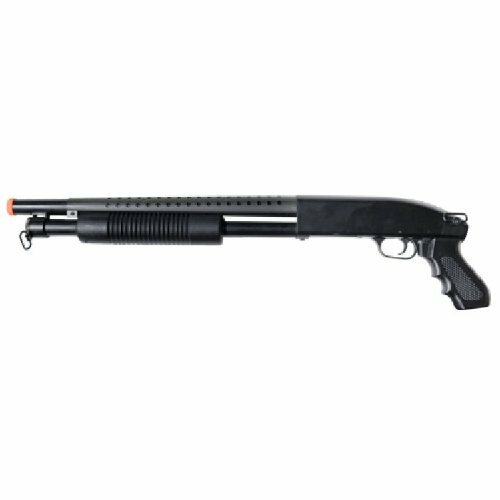 Quick pump, reload and shoot with very smooth action, Solid pump action feeling for shotgun fans. Powerful Spring loaded pump shooting at 330 FPS which can go through thick cardboards with ease. Feed by Magazine clip which holds 20 rounds. Make sure you order extra magazine(s) if you play a match and want to reload fast. Includes 4 shells, strap, tactical upper lower rail system, red dot sight, tactical flashlight.